Choosing a rehabilitation facility can be overwhelming. After all, you (or the patient) has just experienced a significant health event. It’s often the last decision we’d like to make. But, it’s also one of the most important decisions, too. The short-term rehabilitation clinic you settle on will determine the rate and quality of recovery, the support, morale, and encouragement you’ll receive to heal in a positive manner, and the specialization of the staff. How can you choose the right rehabilitation facility? Let’s take a look at the top ways you can identify which rehabilitation clinic will be the right match for recovery. When it comes to rehabilitation facilities, there’s a difference between recovering appropriately and recovering efficiently. After all, it’s one thing to help people return to their previous life, but it’s another to return to life stronger, engaged and more independent. Look for high-quality patient recovery outcomes that not only include the duration that was spent in rehab but the outcomes after the individual left the facility and how they integrated back into daily life. Touring a facility provides a glimpse at what you can expect during recovery. From how staff treat and talk to their patients, to the quality of rooms and living quarters, a tour is a great way to ensure you’ll be comfortable and receive the right treatment. It’s also a perfect time to gauge the condition of equipment that’s being used. Does a particular facility have the latest gear? Do they use modern techniques? You’ll be able to ask these questions and more while discovering for yourself whether the facility is truly a good fit. Quality of care fluctuates between rehabilitation facilities. Some will cater to a specific type of rehab, while others may boast a wide-range of services and an experienced team of staff that understands a variety of conditions and paths to recovery. Check in advance to see whether a short-term rehabilitation facility has the resources and staff you need. The best short-term rehabilitation facilities not only provide a wide-range of services and solutions for health problems but also help their patients transition back into their regular lives. 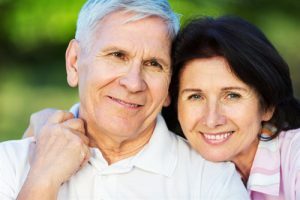 This could entail home visits and check-ups, home exercise programs, help to prepare the home and sourcing necessary aids for independent living, or assistance transitioning into a skilled nursing facility. A healthy rehabilitation process is essential. Returning patients to an appropriate level of independence is crucial—not only for their physical health but for their mental well-being, too. Life goes on, and by choosing the right facility, you have a hand in determining how that life will look like when everything is said and done. Even if you’re researching a facility on behalf of someone else, you should prioritize getting their life back to normal. Rehabilitation isn’t easy, but it’s the best path to recovery.